You may have noticed the countdown timer in the upper-right hand corner of ONCE UPON A GEEK. 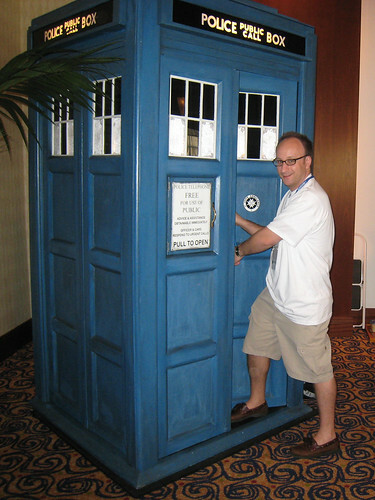 This is counting down my arrival at Dragon*Con 2010! We’re about 28 days away and it can’t get here soon enough! 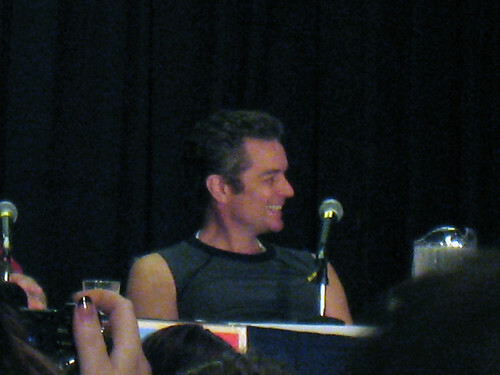 Over on THE UNIQUE GEEK, they’re doing their own version of a countdown called 40 Days Of DragonCon 2010. 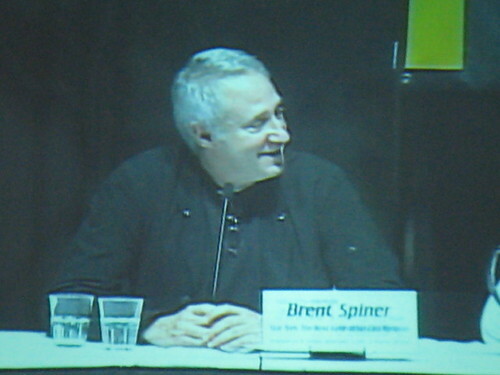 They’ve got podcasts, interviews with track directors, tips for the con, editorials, and pictures from previous years. Be sure to check it out and subscribe to their RSS feed. Here are just a small handful of my pictures from previous Dragon*Cons. 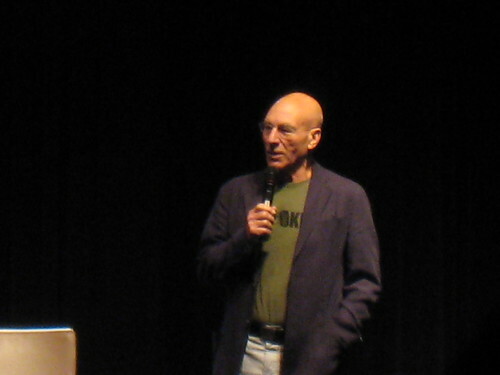 Each year I typically take about 400 pictures of celebrities, friends, costumes, and generally interesting stuff. 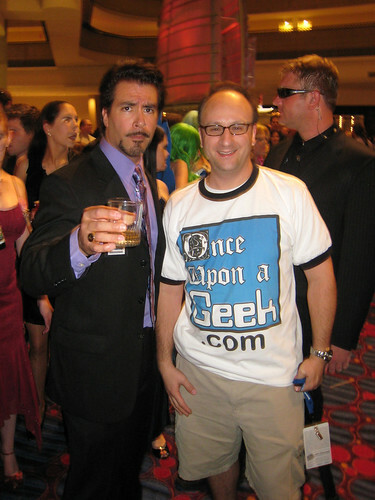 To see all my uploaded pictures, check out the ONCE UPON A GEEK Flickr gallery. Tricia Helfer from Battlestar Galactica, Burn Notice, Chuck, Victoria Secret and more! Oh yeah, I’m in the picture too. 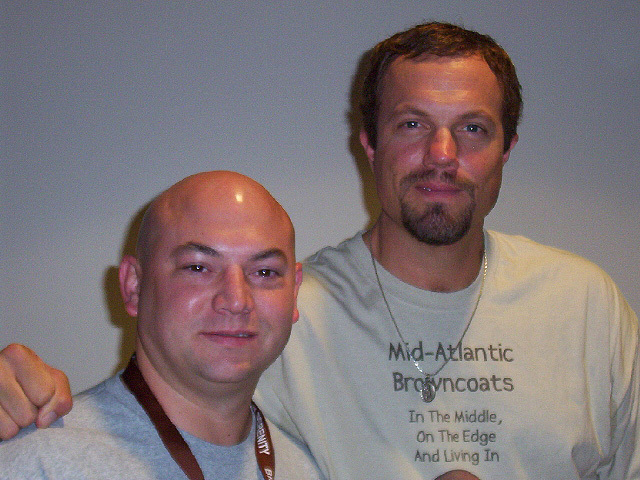 Adam Baldwin from Firefly and Chuck! Also in the picture is our good friend Ed! 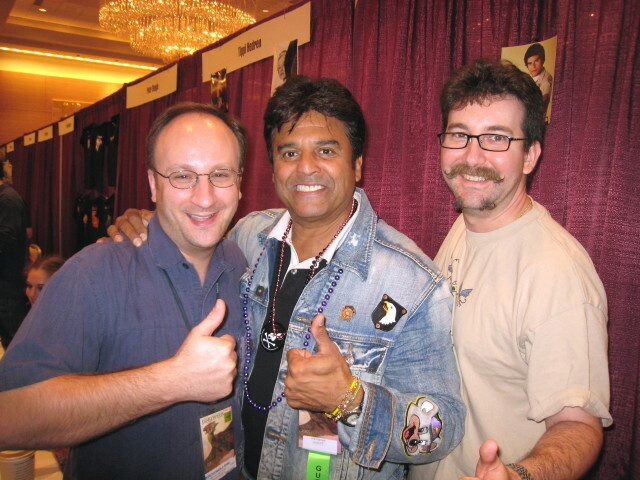 Erik Estrada from everything awesome, with Shag and Serv! 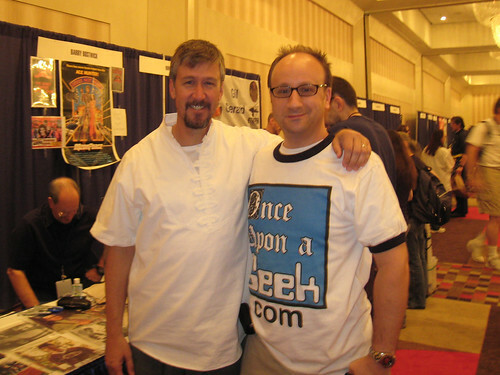 Alan Ruck from Spin City, Ferris Bueller’s Day Off, Star Trek: Generations, and more! Dirk Benedict from Battlestar Galactica and the A-Team! 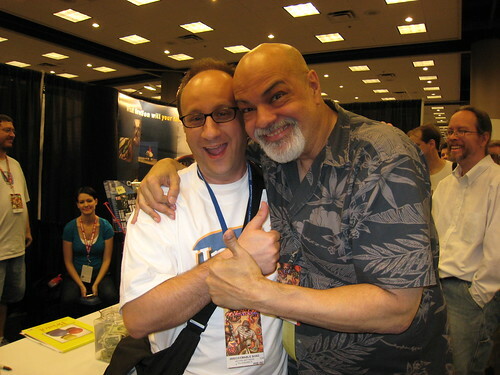 George Perez, artist extraordinaire of Crisis on Infinite Earths, New Teen Titans, Infinity Gauntlet, Avengers, and much much more! 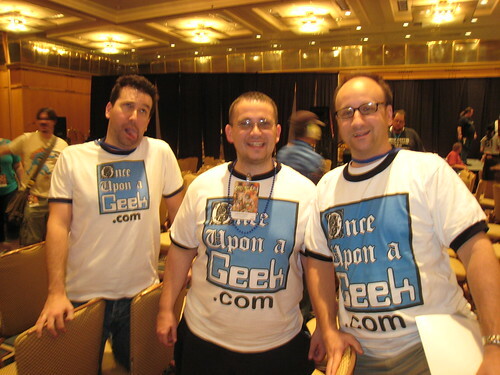 And finally, Serv, Terry, and myself pimping ONCE UPON A GEEK at 4am! Promotion much never stop! 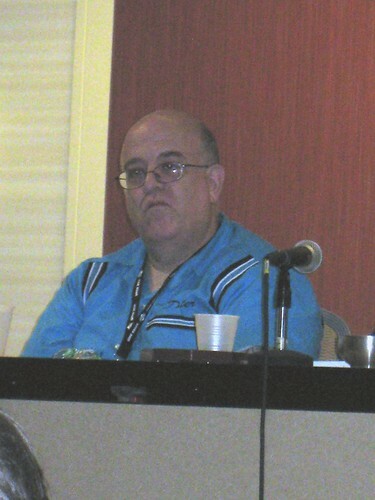 If you are going to Dragon*Con, drop me a comment or e-mail. We know somewhere around two dozen people going. The more the merrier! 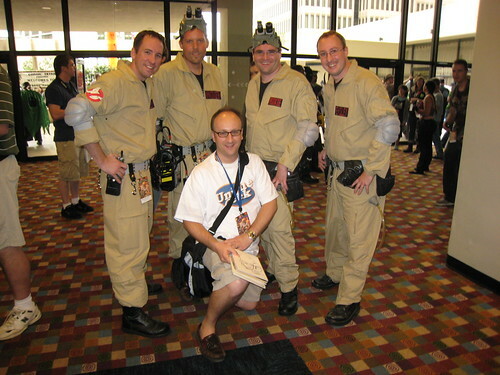 The con is always better with friends! Awesome photos. That definitely looks like a good time…especially like the phone booth! 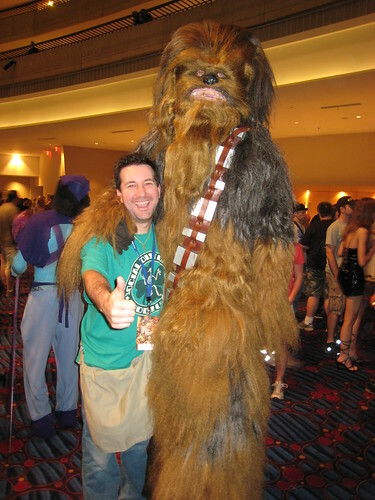 I’m so looking forward to Dragon*Con this year…I even got this sweet deal on this site called MetroFlats.com….I got 50% off membership admission just for booking a vacation rental in Atlanta. Recently stumbled upon your site and been keeping up via Google Reader. Love the pictures! This will be my third D*C. Can’t wait! I’ll be there with bells on! Well, not bells, exactly. The wife and I are planning to dress up as Tom and Dahlua Strong. Oooh, also, did you notice that they just added SCOTT BAKULA to the guest list? Hells yeah! Adama – Awesome costume ideas! The guest list keeps getting better and better! I’m so jazzed for this thing!